Jack Tafelski, 7, left, and his brother Marcus Tafelski, 10, select presents for a child's wish list inside Fire Station 1 with the Traverse City Fire Department and over 40 volunteers on Saturday morning. 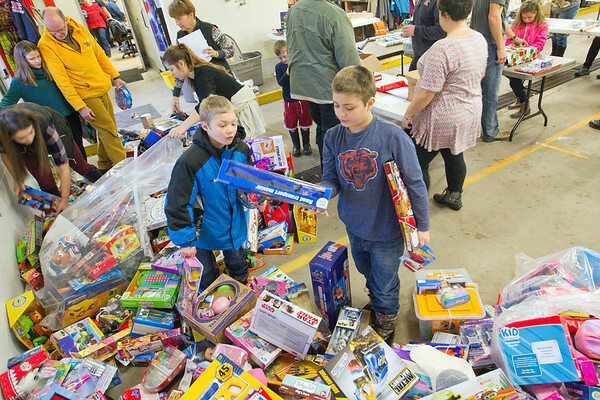 The annual tradition, which will help about 200 children from Grand Traverse County this Christmas, dates back to the late 1940s when firefighters would repair toys for local children in need. The program now collects donations from local businesses, schools and community members, as well as from Toys for Tots.